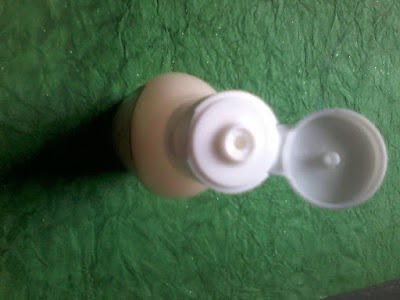 Today I am going to review one more product from Amara Organix , its a Body Wash for Oily skin . Amara Organix is a brand which produces natural and handmade products for skin care . They use cold pressed virgin oils , organically farmed honey , exotic oil like argan oil etc. Their product range includes hand made soaps , body wash , scrubs , body butter etc . Jojoba oil , tea tree oil and Rosemary oil . It is meant for people with oily skin . It cleanses the skin and keeps it moisturized . The product comes in a plastic bottle with a nozzle from which it can be easily squeezed out . The product is a white liquid with a strong fragrance and thin or runny consistency . It forms good lather . Its better to use it with a loofah since it has a runny consistency . It thoroughly cleanses the skin and gives a smooth and silky touch to skin . 1. Made from natural ingredients . 2.Does not contains any harsh chemicals or preservatives . 3.Does not contains any artificial colour . 4.Affordable price ( Usually products made from natural ingredients are bit expensive but this one is in affordable range ) . 5.Does not makes the skin too dry but keeps it moisturized and gives a smooth and silky feeling . The product is good , cleanses and moisturizes the skin . Product packaging is also good. It has a strong fragrance which some people might not like . My overall experience with product is good and I really liked it .